Dialogue. A great book often has witty dialogue…and Scott Lynch has witty dialogue in spades. His characters’ conversations reveal the bond of friendship that runs deep in spite of outrageous adventures. So, I’m looking forward to his next book, Thorn of Emberlain. This is an author who I have already read and loved. The number one reason a reader picks a certain book is usually word of mouth. A member in my Powell’s reading group shook my arm and insisted that I read The Three-Bodied Problem by Cixin Liu. After checking out strong reviews, I added it to my list. The second reason most reader select a book is because they already like other books by that author. 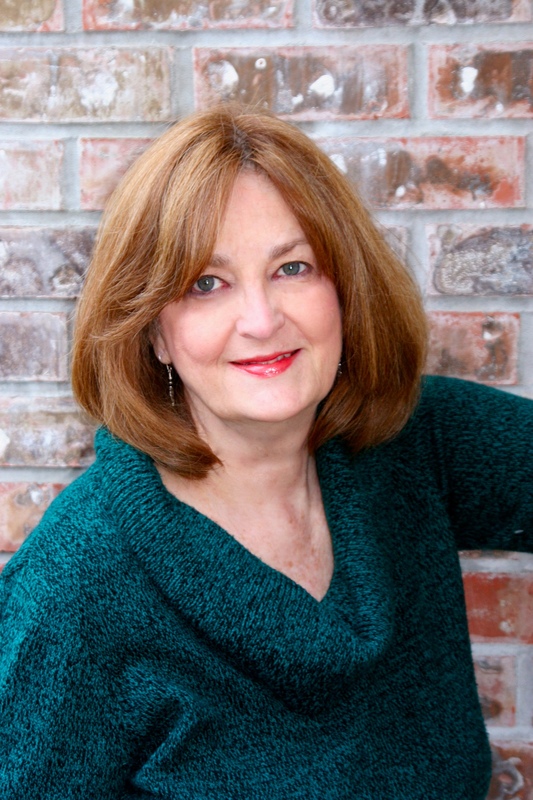 I’ve read and enjoyed a number of Katherine Asaro other books. Many of her works have won awards, most notably The Quantum Rose, which won the Nebula in 2001. So, when I saw she had a new one out, I put The Veiled Web on my list. She’s good at science fiction romance with a heavy science emphasis since she has a PHD in Physics. Rookie Privateer I found as a free book that piqued my interest. A lot of my bloggers like military science fiction, so, hey, this one is for you guys. Subject matter is a major reason to select a certain book. I decided to take a chance, go wild and put it on the list. In this case, I have nothing to lose. It’s only 123 pages, however, but part of an ongoing series. I’ll sample this and see if I want to continue with the rest. The 120 best websites for writers. I have used several of these websites to help me in my writing one way or another. Maybe they can help you too. So that’s the second half of my list of ten for 2016. I hope you have a wonderful year and read many great books. This self publishing gig isn’t as easy as it’s cracked up to be. “Tell me something I don’t know,” you mutter. There is a world out there willing to give advice, but how good is that advice for your situation? I can only tell you what works for me…and what doesn’t. With some success last month, I once again threw myself into the marketing fray. Since I had extra funds in the marketing budget, I decided to advertise two places during my KDP Select free book week. Robin Reads has been getting buzz lately as an upcoming site still reasonably priced. For $20, I got the number one spot. That was sweet. My criticism of Robin Reads as a reader is that I haven’t figured out how to select out the genres I prefer, so every day I get a list of all types of books which is a pain to page through. I’m not into steamy romances or zombie thrillers…but many readers are. However, as an author and advertiser, I received fourteen hundred downloads in one day (9/19) for my anchor book, Caught in Time. Not great, but better than I expected for the price. Now usually, a program like that is immediately followed by retail sales of other books in the series. Added to Robin Reads, I spent $70 at Freebooksy for one day (9/21) where I have had great success, so I was rubbing my hands together in excited anticipation. I got almost a thousand downloads that day. So, over two thousand plus free downloads. 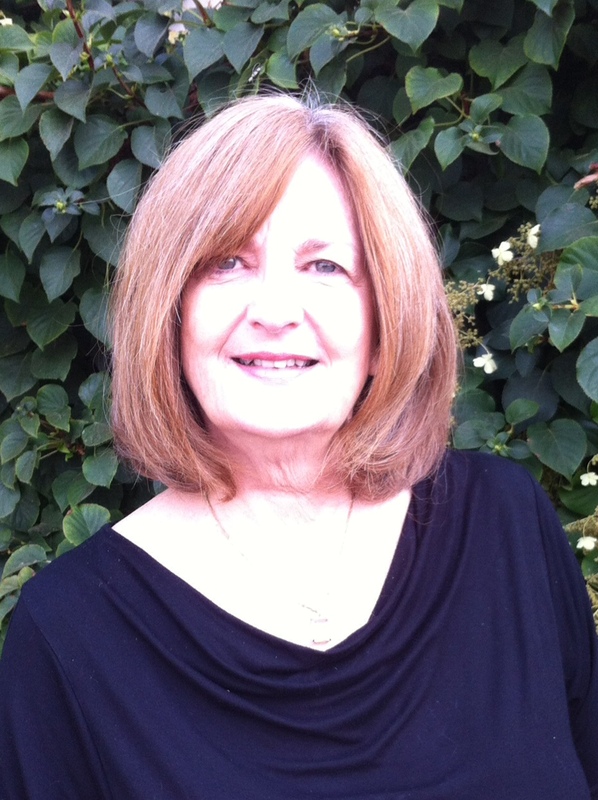 April Aasheim author of The Witches of Dark Root, reports good luck advertising on Facebook. I’ve been reluctant to try. Anyone having good luck with that? Meanwhile, The Fussy Librarian sent this out in their newsletter. I thought it interesting. It talks about an article that claims paperback sales are picking up and Ebook sales diminishing. Seriously? I find that hard to believe. My sales are mostly in EBooks, although paperbacks are readily available. This week I’m suggesting a favorite author. John Scalzi is deeply entrenched in traditional publishing in many forms: hardback, paperback, iBook, audio, short story serials etc. He recently came to Powell’s again to promote his new book The End of All Things. Now there’s a catchy title. It’s available in hardback for $24.99…thank you, big publisher (TOR)…or free at the local library, no taint involved in the free price. 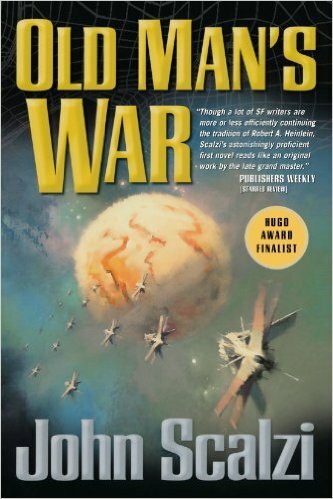 This science fiction soap opera takes place in The Old Man’s Universe, meaning in the universe of his John Campbell Award winning book, Old Man’s War. True to form, Scalzi does something different. Humans have expanded into space, only to find it populated with thousands of alien species. The Colonial Union formed to protect humans but kept Earth ignorant of aliens so as to provide colonists and soldiers by using consciousness of old people in repurposed bodies. Many of the alien species threatened by these superhumans formed their own alliances called the Conclave. Then Earth found out it was being used and got angry. It stopped providing experienced conscious minds and bodies. Without Earth to provide bodies for fighting, the Colonial Union found itself in trouble. Unbeknownst to the Colonial Union, bitter infighting and politics now threatens to tear the Conclave apart. The first story of the book is told by the sole survivor of an ambush on the ship the Chandler. A mysterious splinter group known as the Equilibrium has been secretly pitting the Conclave and the Colonial Union against each other. This secret third faction is made up of individuals from the different groups who plan to overthrow all other contenders. While all on The Chandler and any escape pods are ruthlessly killed, Rafe Daquin, recently hired as third pilot on the Chandler, is allowed a consciousness in order to pilot the ship, but he is separated from his body and reduced to operating as a brain in a box. So your narrator for the first section is a brain in a box who tells the events of the attack and how he thwarts his enemies working without a body. The second part of the book tells events from the point of view of Hafte Sorvalh, the second most powerful individual in the Conclave, or the advisor to Tarsem Gau, the Conclave leader. 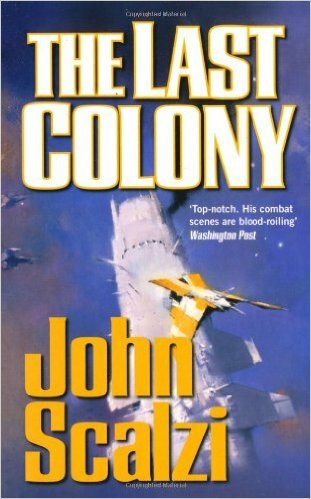 This story is political theater at its best and Scalzi is a master of clever dialogue. Subtle nuances of behavior by politicians during a Conclave Congress reveal that this powerful body of aliens has its own problems, and act more like humans than most imagine. The third section brings in favorite character Harry Wilson from the other books in the series who thwarts an Equilibrium attack and interrogates one of their leaders in an attempt to unravel their plans. This section reads more as a spy thriller. Scalzi admits to frantically trying to finish writing on time and missing deadlines as he travels around for signings and marketing. It makes the book choppy. You can imagine him writing a section, dusting off his hands and sending it in. What Ad Sites Should You Market Your Book On? My horoscope said that I need to change things up in my daily life. So, I changed my blog background from dark to light. Radical, I know. But don’t go easy on me. Tell me what you really think. This morning I did the analytics for my August sales and was pleasantly surprised. Thank you, wonderful readers. I hope you are enjoying the series. I’m currently finishing up edits for the eighth book, Time’s Equation and eagerly waiting to see what the cover is going to look like. 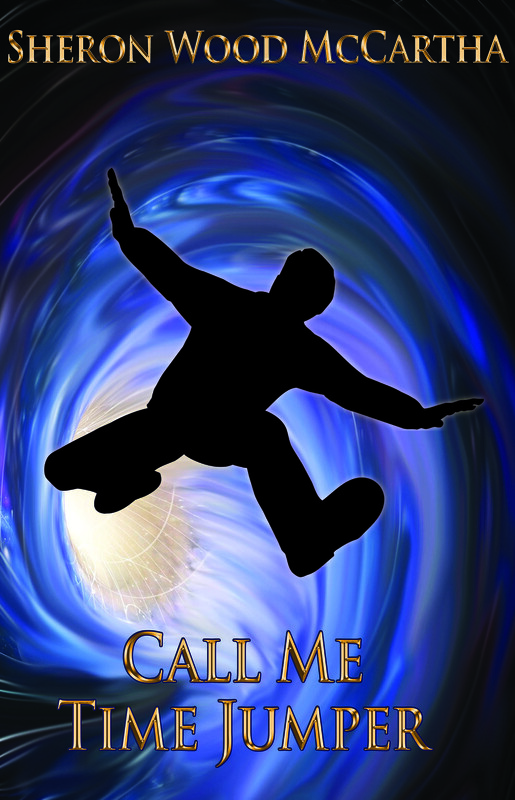 Late October is my publication target…before the holidays. So marketing in August: What worked? What didn’t? Book Gorilla at $50 cost didn’t return a net profit. I was so excited to see how that campaign would turn out…and it didn’t. I posted the discount at $.99 at their suggestion, which means I would have to sell over 144 books to break even. I didn’t. Timing? Genre? Promotion? Who knows why. On the other hand, The Midlist at $20 cost, more than made up for it. Go figure. This month I am using my profits and plowing them back into the business. I will offer Caught in Time, my first book, free through Robin Reads ($15) on September 19 and Freebooksy ($70) on September 21. Freebooksy is a favorite, and when I was setting up my marketing for September, I defaulted to it out of frustration. I saw too many venues with no way of knowing what would work. What I needed at the time was Cheryl Bradford’s list of ad sites and Nicolas Rossis’s plan of attack…which I now provide for you because both are so awesome. Thank you, Cheryl and Nick. This will save you hours of research and make your marketing much more efficient. full list of websites where you can advertise your ebook price promotion, courtesy of Cheryl Bradshaw. So with September settled, I cast about for a story to recommend. 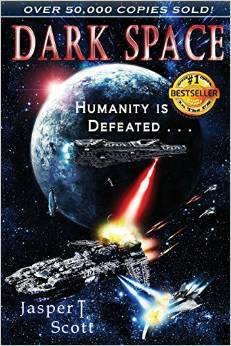 After reading and discarding several options, I found Dark Space through a Freebooksy special. FREE! And very readable. And guess what…as of right now…it’s still free. But I don’t know how long that will last. FYI. 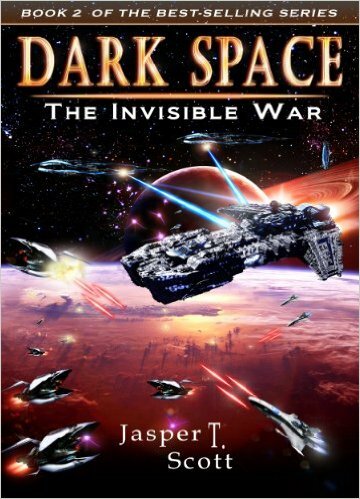 Dark Space, book 1 by Jasper Scott, is a military space opera in a series. 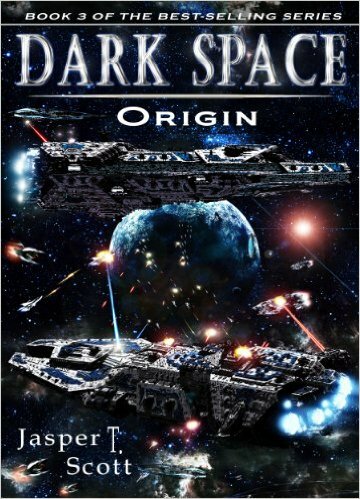 Freelancer and ex-convict, Ethan Ortane, is deep in debt, hiding out with the rest of humanity in Dark Space. An alien race, the Synthians, invaded the human galaxy with one goal in mind… to wipe out humans. Now the last remains of humanity hide out in Dark Space behind a stargate guarded by the Valiant, a carrier ship of the Imperial Star System Fleet. But Ethan has gotten deep in debt to crime lord Alec Brondi, and his ship, and therefore his means of support, is badly damaged. His only way out is to comply with Bondi’s deal to infiltrate and sabotage the Valiant. If that isn’t enough to make Ethane follow through with the plan, Brondi kidnaps Ethane’s beautiful crewmember and threatens torture if he doesn’t comply. which all makes for an interesting story and start to a fun series.